The cornea is the first layer of protection for your eye, helping to block dirt and dust particles, and germs from harming the eye. The curvature of the cornea plays an essential role in focal vision. Diseases affecting corneal shape can have a significant impact on the quality of your vision. Keratoconus is one such disease; it is characterized by a bulging, conical cornea. The National Keratoconus Foundation estimates that approximately one in 2,000 people suffers from keratoconus. Most people with the condition are in their teens or early 20s, but it is not uncommon for older people to develop the condition. At TOC Eye®, we have an amazing team of board certified ophthalmologists who are experienced in diagnosing and treating keratoconus. Call us today at 631-751-2020 or contact us via our web form to schedule a keratoconus consultation, or continue reading below for additional keratoconus information. Bulging of the cornea occurs when it’s not strong enough to hold its optimal round, dome-like shape. The cornea gets its strength from collagen, a naturally occurring protein that supports tissue structure throughout the body. You may be familiar with collagen injections for cosmetic purposes. When naturally occurring collagen breaks down in the skin, it can lead to wrinkles and other fine lines. In the case of keratoconus, a similar issue is at play. An insufficient level of collagen support in the eye could lead to misshapen bulging of the cornea. Keratoconus tends to be a hereditary condition, so it’s important to have your children evaluated early if you or someone in your family has it. TOC Eye® is a leading ophthalmology provider for the whole family, specializing in the care of vision problems affecting all ages. Diagnosing keratoconus based on the early symptoms alone can be difficult since it shares many of the symptoms associated with other corneal conditions. Long Island patients who are experiencing any eye problems or any change in vision must understand that it’s important that you consult with an eye doctor as soon as possible for a thorough inspection. The progression of keratoconus is difficult to predict as it can affect people differently at different ages. The bulging of the cornea associated with keratoconus could take many years to develop. Both eyes are typically affected, but it’s not uncommon for one to be affected worse than the other. 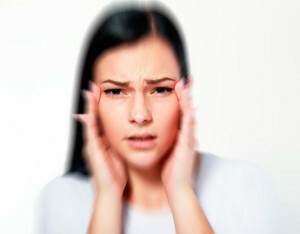 As with any vision problem, the earlier it can be identified and diagnosed, the better. After confirming a diagnosis of keratoconus, the TOC Eye® team will work with you to develop a comprehensive treatment catered to your unique requirements. Mild-to-moderate cases of keratoconus are often simply treated with eyeglasses or contact lenses. Although this treatment doesn’t stop the progression of keratoconus, it can serve as a simple way to restore vision. However, if the bulging of the cornea worsens, glasses and contacts may eventually prove ineffective in providing relief. Corneal transplant: Donor cornea tissue can be surgically attached to your eye to provide the necessary support to stop bulging. Intacs: Corneal ring implantation is a reversible procedure that can help to reshape the front of the eye to improve keratoconus-related vision loss. Call us today at 631-751-2020 or contact us via our web form to learn about our keratoconus treatment discounts and Care Credit financing plans. Are You a Candidate for LASIK/LASEK?